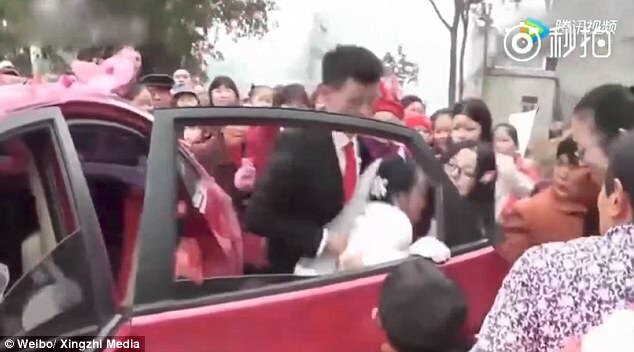 A video showing a groom forcefully dragging his bride out of a car during their wedding has sparked discussion in China. 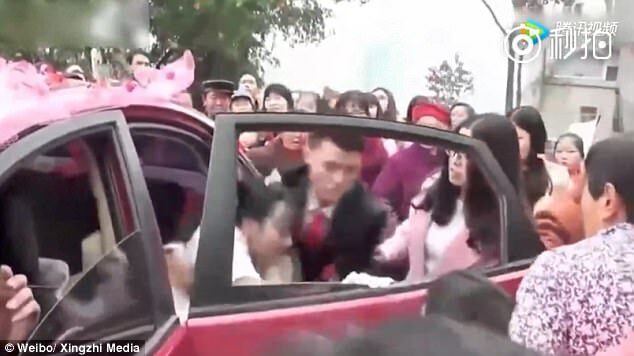 Initial reports suggested that the groom was enraged after his fiancée had demanded a large amount of money to be paid before she would agree to step out of the wedding car. 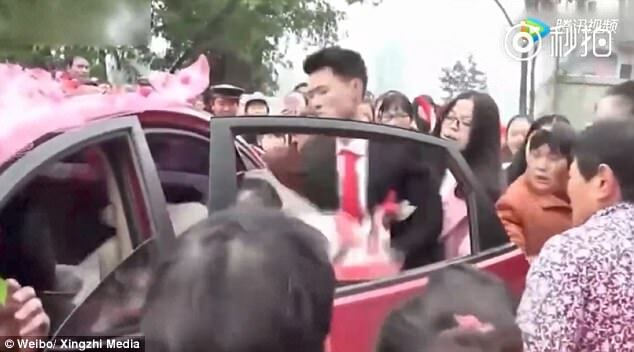 However, the groom claimed that he got angry because the driver of the wedding car had kept demanding gift money from them, according to an updated report. The couple, Mr and Mrs Li, had their wedding on January 17 in Anyue town of Ziyang city, Sichuan Province, according to Chengdu Evening Post. 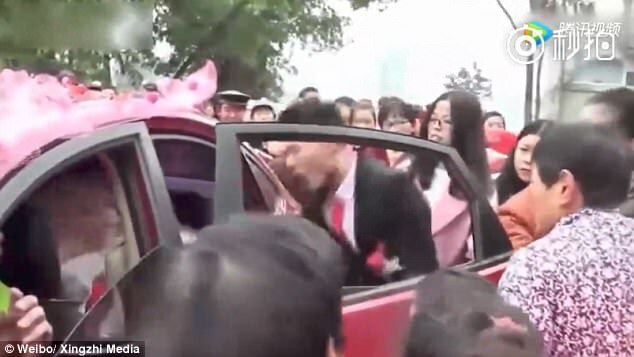 The footage of the wedding, uploaded by Xingzhi Media on June 9, shows over 20 guests standing around the red car when the groom appeared to pull the bride out of the car in a forceful way. 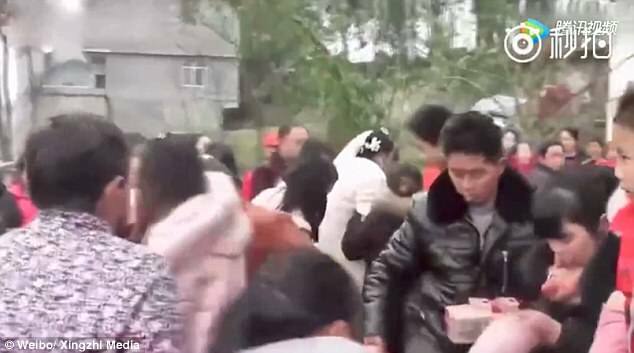 The reports initially claimed that the groom kicked the bride and demanded her to return the wedding money he had given to, which was over 300,000 yuan (£35,000). 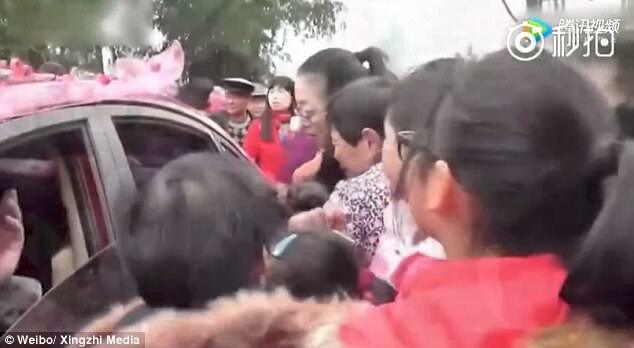 Reports also said the woman had asked to be given 8,800 yuan (£1,017) before agreeing to get off the car and meet the wedding guests. Other reports gave different explanations on why the man had become furious. Some claimed that the groom found out his fiancée had slept with her ex-boyfriend the night before their wedding. Others suggested that the bride shocked the groom by bringing her children to the wedding, whose existence the groom had not known. With over millions views on various social media platforms, many people have blamed the bride for being greedy. The groom, said to be in his 20s, told the reporters at Chengdu Evening Post that his wife had been wrongly accused by the media. 'It was because of the chauffeur of the wedding car. 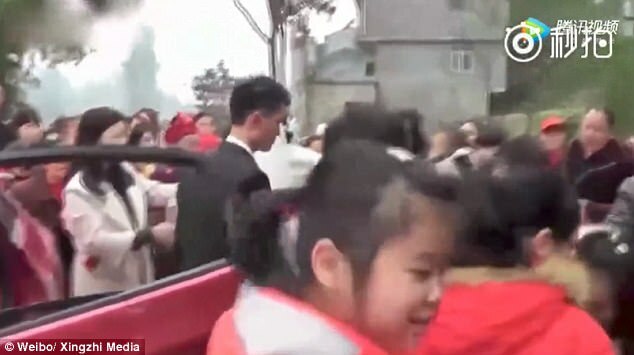 He stopped the car a few times on a 10-minute journey and asked for red packets,' Mr Li said. Red packets are monetary gifts used in important events, such as Lunar New Year and weddings, as a symbol of blessing. Li added that the driver stretched the 10-minute journey to nearly two hours. 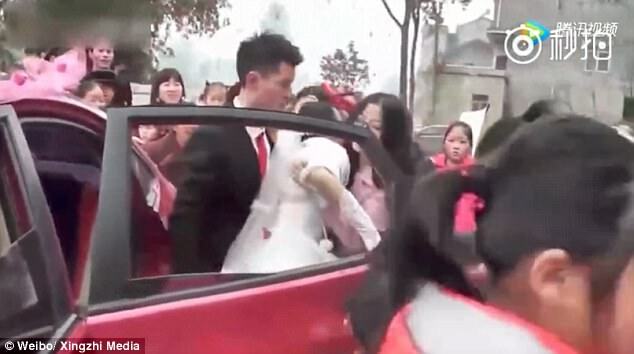 The groom decided to get off the car before dragging his bride out of the vehicle too. He said they walked away quickly because they were 'too angry' and refused to give the driver what he had demanded. The man, however, did not explain why he pulled the bride in a violent manner. A bridesmaid, who called herself Xiaoli, also said that the bride had not demanded money from the groom. She confirmed that the couple had been angry with the driver. It's understood that the couple's wedding celebration went on as usual after they alighted from their wedding car. The couple said the unverified reports had disrupted their life. They also said they had dated for four years before getting married and that they have a good relationship with their families.